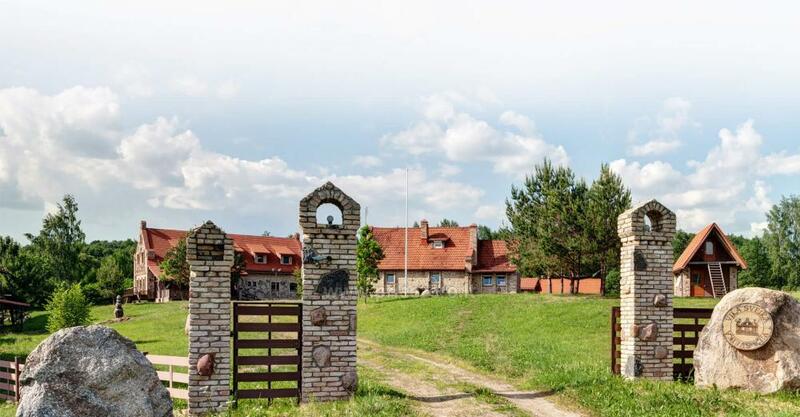 Homestead with bathhouse, hall for your recreation and events in Trakai district "Vila Sveika"
NEW countryside homestead "Villa Sveika" for your perfect vacation, unforgettable celebration or conference! 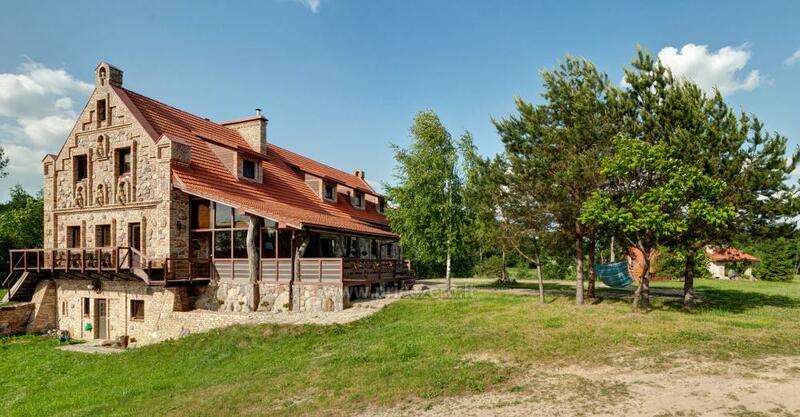 The homestead is located in one of the most beautiful places in Lithuania - in Trakai district. 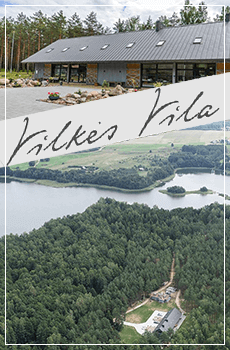 A unique location, clean air, forests, unique natural scenery, 2 lakes nearby (Juodis and Vaisieta), private water pond, quiet environment create a perfect atmosphere for your comfortable vacation or event. The homestead has 4 buildings. 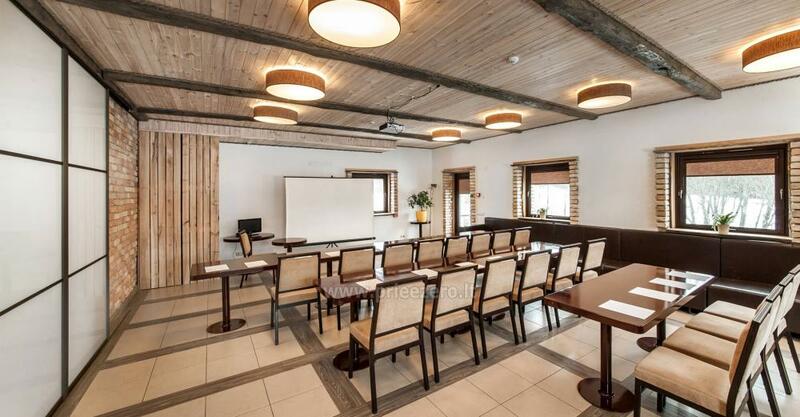 All the buildings and their spaces (halls, rooms, sauna) are for rent for individual vacationers (families, couples, tourists) as well as large groups (events, conferences, seminars or camps). Large house (700 sqm): 2 halls (conference and banquet hall), a modern kitchen, dining room, 10 rooms (36 beds), a large outdoor terrace. 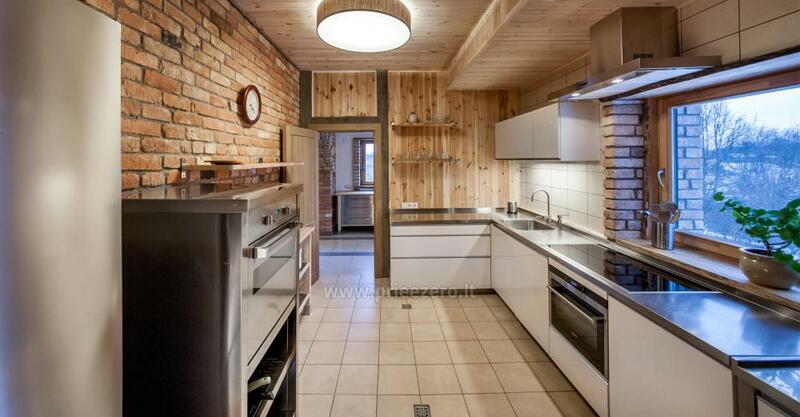 Little house (140 sqm): a modern kitchen, spacious dining room, TV area, a sauna, 3 rooms (10 beds), toilet, bathroom. 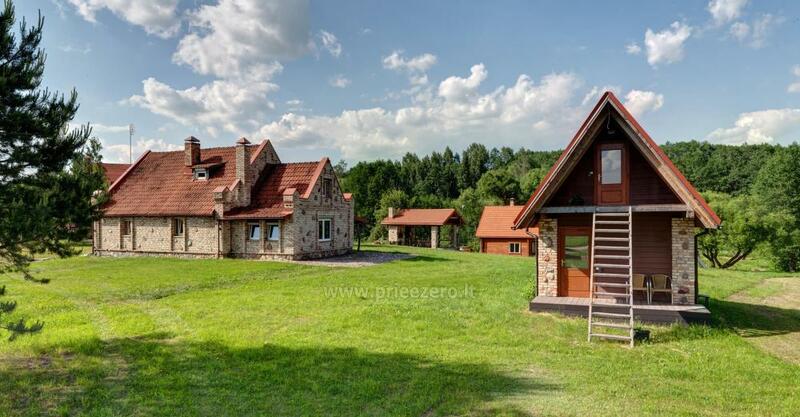 Bathhouse (60 sqm): 1 room (4 beds), sauna with a sitting room with a fireplace, kitchen, washroom, toilet, terrace, hot tub, nearby water pond. 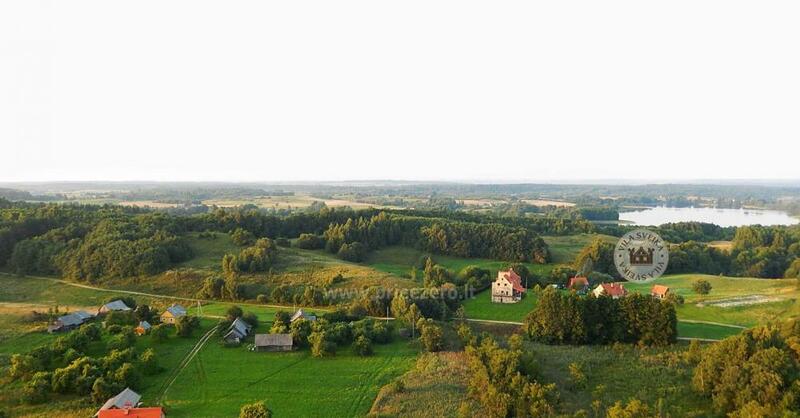 Holiday cottage (50 sqm): 2 rooms (4 beds). Two-story house without the amenities to stay for a night. Accommodation. Double - triple rooms for your comfortable and cosy stay. 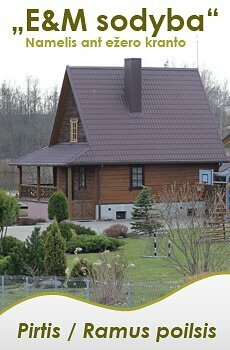 Up to 54 persons can stay in the homestead. 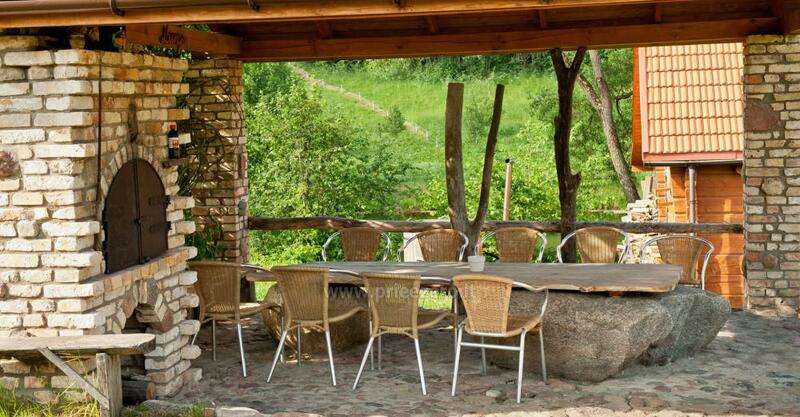 Up to 100 persons can celebrate or take part in an event in the homestead. Catering. 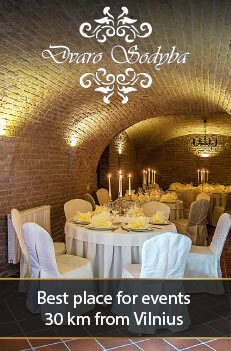 Cafe "Koralai" offers delicious meals and professional service for the guests of your event. 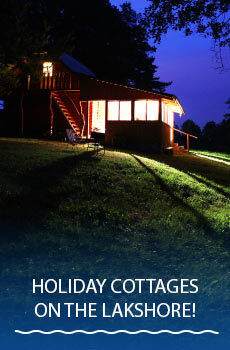 There is also a possibility self-catering in the homestead. We have a modern kitchen with modern appliances, cutlery, dishes. Conferences. The homestead has 2 halls. 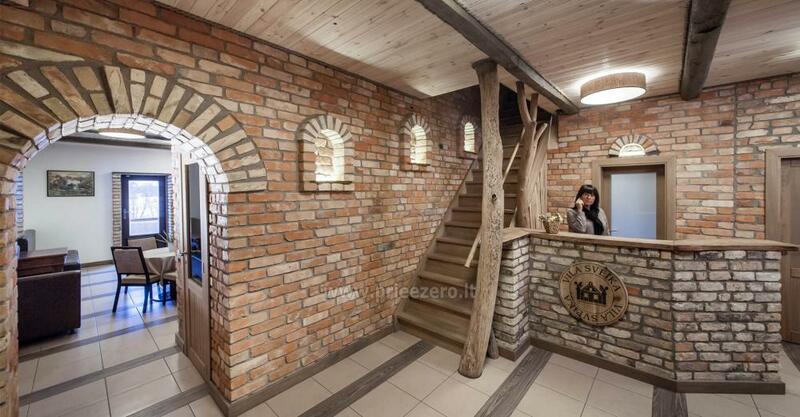 "Large - Basement" hall (100 sqm), "Little" (60 sq m). The halls have a projector, screen, sound system. Events, celebrations. The homestead is a perfect place for weddings, birthdays, banquets, receptions and other celebrations and parties for up to 100 persons. Camps. 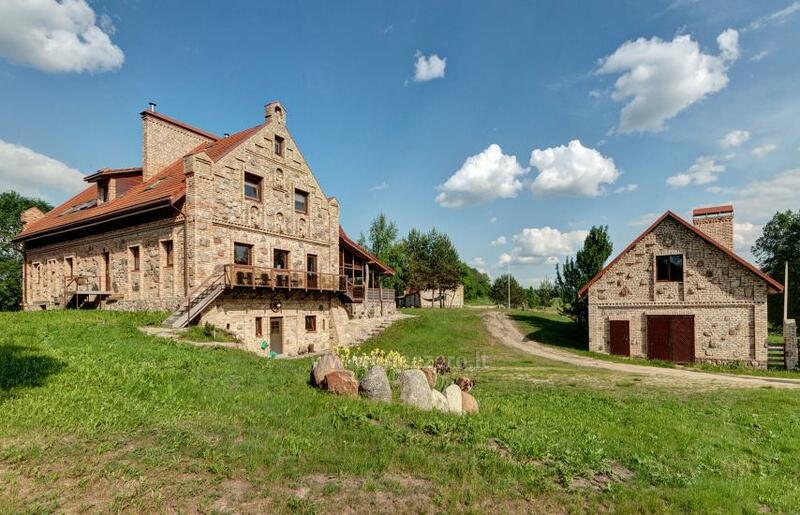 A quiet place, a large area of ​​4 hectares - perfect space for creative initiatives, games, meditation, walks in the woods and mounds. 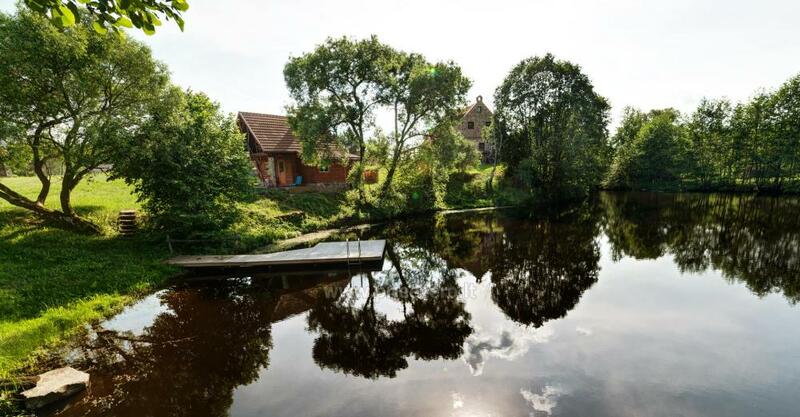 Nearby: kart tracks, kayaks along the Strėva and Verkne rivers, dog kennel, Aukštadvaris Regional Park. 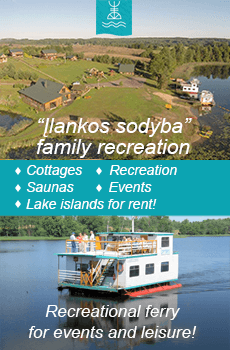 You are always welcome to our homestead in Trakai district, Vilius county, Lithuania!